"Leigh Ann leads with calm and excellent personalised teaching"
Leigh Ann is pleased to offer students appraisals of their work either on-line or by post. 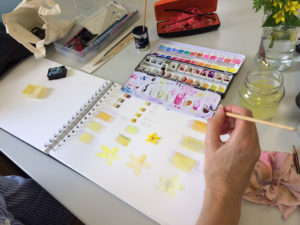 This is ideal for those looking for constructive criticism of their work and especially for those who are not enrolled onto a botanical illustration course or who have little contact with other botanical artists. If you are interested in receiving an appraisal of your work please contact Leigh Ann for more information.